I recently completed the 3-day intensive Introduction to tapestry weaving course run by the Australian Tapestry Workshop—taught by the very excellent master weaver Tim Gresham. The ATW is housed in the old knitting mills building at South Melbourne. They were full days for me, commuting by bus then tram to get there. The classes were 10 – 4pm but the days were more like 8.30-6.30pm for me. The building and space is beautiful, and the ATW employ full-time weavers who create commissioned pieces. 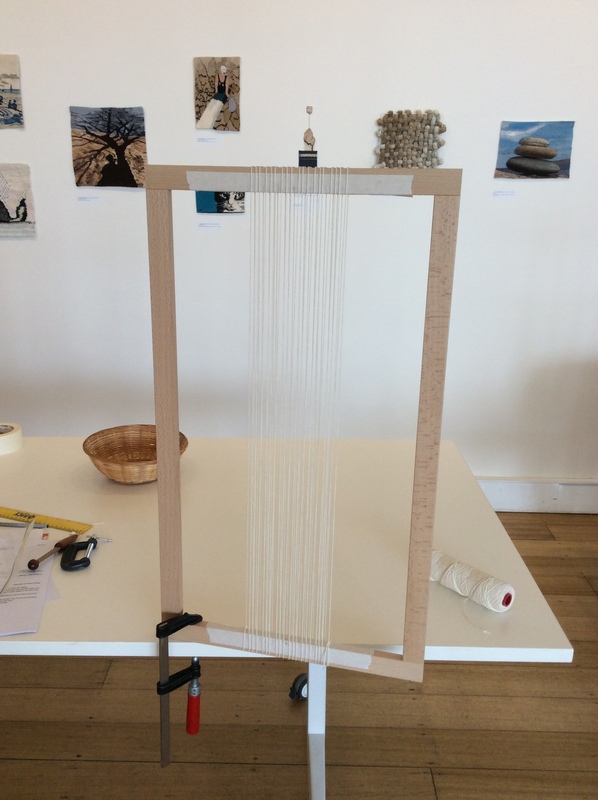 The course involved learning to create a small, rectangular woven piece. We were given a 35cm x 70cm loom. The first thing we had to do was warp the loom. Next we put in the “floor”. Then we got to choose 6 cones of color! A daunting prospect when confronted with a rainbow wall. Paralyzed by indecision! Fortunately, I had already decided to “look to nature” as they say—Spring is just blooming in my part of the world so I decided on the colors of wattle. On top of the “floor” we put in a pass of very loose weaving (which is ultimately discarded) followed by a row of double half-hitches. The whole process took until lunchtime on the first day. Then we learnt how to do some weaving (the easy part) and hitching on and off (the hard part). That was the end of Day 1! Day 2 we learnt how to do dots and hatching before lunch. After lunch we learnt how to do a triangle. Day 3 we learnt the Big One: how to do a circle! The circle transformed the piece into a landscape scene at sunset. Magic! On the final day we also learnt how to get the tapestry off the warp and finish it off. You cut the warp and braid it together to fasten. 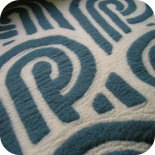 Then group them into little bundles and catch them on the back of the tapestry. I am happy with the finished piece—a small wall hanging. It was a very enjoyable course with an excellent teacher in a lovely space. 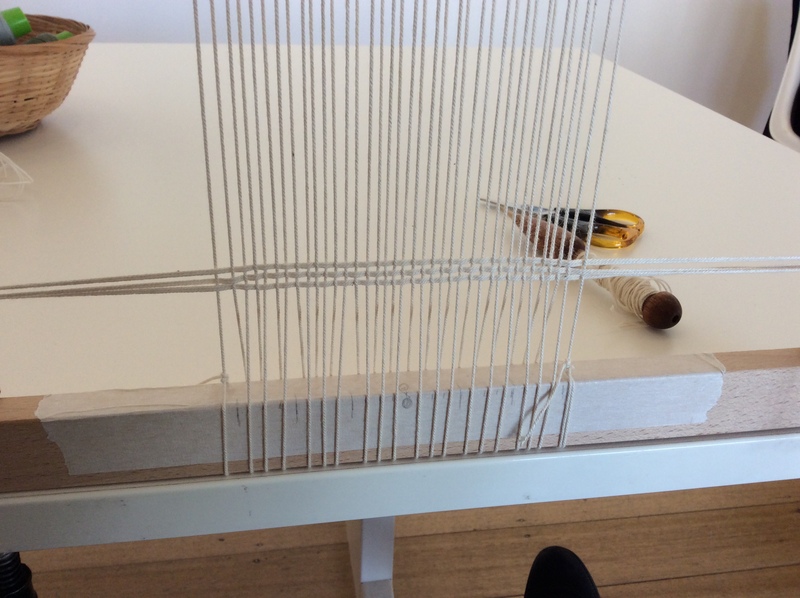 This entry was posted on 19/09/2015 by flicstar in Wall Art and tagged australian tapestry workshop, tapestry, weaving.